Try this strategy, based on Dr. Lily Wong Fillmore's work, for grappling with complex sentences. Build students’ ability to understand even the most nuanced and challenging texts as they learn to appreciate great writing and its features. Create an account to save your favorite resources and receive recommendations for materials based on your preferences. 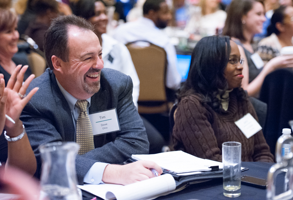 The Core Advocates Program engages educators with the content knowledge and resources they need to support teachers and students in the transition towards a college and career ready education.